In the spring of 2000, the Ko`olauloa Educational Alliance Corporation (KEAC) surveyed Kahuku School Complex teachers and other personnel, parents, students, and the business community regarding their perspectives on how well the schools are doing in preparing students to eventually enter the work world. The survey information is being analyzed to help KEAC develop a strategic plan. Statistical results give a measure of how our schools are doing. There was no overwhelming agreement that Kahuku Complex schools are doing a better than average job of preparing our students for either immediate careers or further education. Expose students to wide variety of experiences, cultures, ideas to create a well-rounded individual. Encourage students to solve problems, think critically, analyze. Learn how to learn. Help students master basic skills. Help students grow as social beings and make them aware of their responsibilities to society. Provide a safe, nurturing leaning environment. More parental and community involvement. Need for cooperative spirit among school personnel. More stress on vocational education. The Kahuku Complex 21st Century Community Learning Center (CCLC) grant proposal was approved and will be funded up to $1.4 million for 2015-2020. The principals at Kahuku High-Intermediate, Kahuku Elementary, Hauʻula Elementary and Kaʻaʻawa Elementary are excited about having the resources to support student learning during non-school hours. 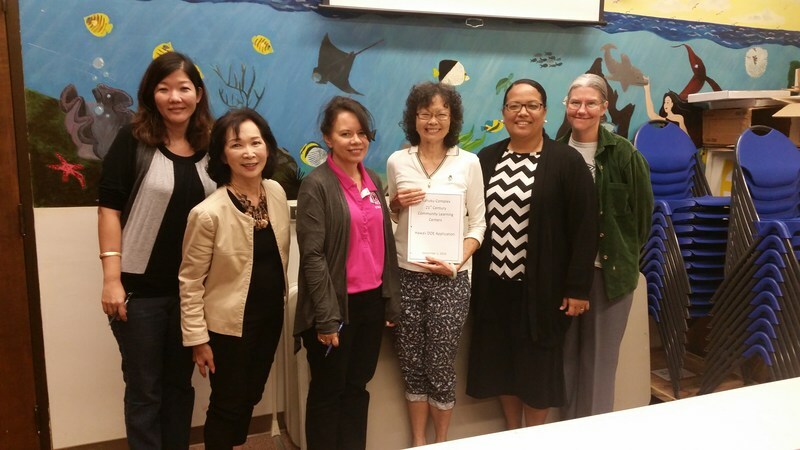 Mahalo to KEAC for partnering with the Castle Complex grant writers and being the “Advisory Council” for this grant. Mahalo to Anne Workman (KEAC Chairperson) for her valuable input which helped to make the RFP a viable grant proposal. May I please ask if Susan Young and I could have all copies of the KEAC Minutes for SY 2016-17. We will encounter a State Monitoring in May and will need your valuable minutes from Aug. 2016-present to display as evidence of our Advisory Council partnership with KEAC and the Kahuku 21st Century Grant. Please let me know if this is a problem. You can call me at 542-3327. Huge thanks for placing the RFP on the website and of the neat picture!